The classic VW Beetle is about to get a(nother) green makeover: Volkswagen is set to unveil a hybrid Bug at next year’s Detroit auto show. The 20 kilowatt lithium battery will get the Love Bug roughly 45 miles on a gallon — and that’s just one part of the new “radical design“. 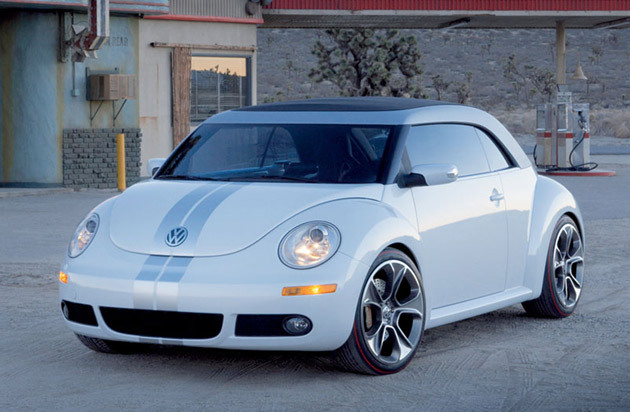 The hybrid Beetle will be made in Puebla, Mexico, creating the — slim? — possibility that Mexico City residents will opt for the green bochos, as they’re affectionately called there. VW, which made the odd choice of going hybrid first with its big old Touareg, will release a hybrid Jetta in 2010 and an all-electric Golf in 2013. Can't wait to build and price one. Is is all electric or hybrid? I'm interested in the gas mileage....So excited! The hybrid is awesome! 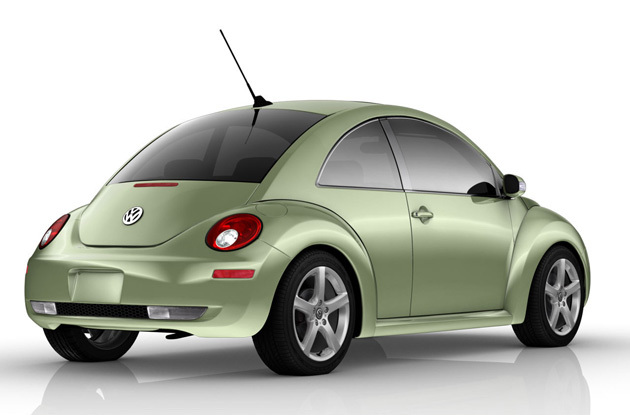 They took the already fuel efficient bug and made it even better. Can't wait to get one I guess I just have to wait for my husband to stop by the volkswagen dealership columbus ohio . Maybe Christmas? The classic VW Beetle is about to get a(nother) green makeover: Volkswagen is set to unveil a hybrid Bug at next year's Detroit auto show. The 20 kilowatt lithium battery will get the Love Bug roughly 45 miles on a gallon -- and that's just one part of the new "radical design".